Cape Town - South African actors finally have some guidance on what they can expect regarding their royalty residual payments from the SABC, according to information provided to Parliament. This was after DA MPs submitted questions to Communications Minister Faith Muthambi on how the SABC would pay residuals on licensed content, repeats and sales to other TV stations. It also includes what to with new global streaming entertainment platforms like ShowMax launched recently in South Africa as a rival to Netflix. Muthambi explained that current standard commissioning agreement makes provision for the residual amount to be negotiated, or for a payment based on two percent of the net licensing agreement profit made. "At this stage the SABC makes provision for payment based on the latter number," she said. The net profit itself is calculated at gross licensing revenue less 35% of capped overheads. With the SABC and industry bodies representing producers and actors at an "advanced stage" of discussing how broadcast residuals will be paid, at the moment they are dealing with individual claims as they come in. The payment of residuals is complicated because contracts for actors from old productions were not kept by actors and producers, and databases were not maintained. 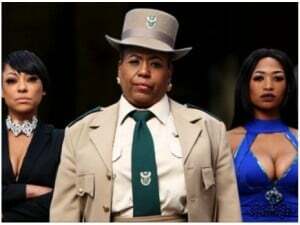 The SABC has a database of actors from recent productions, but for older productions, the list of actors can only be obtained by watching the old tapes and recording the information. This explains Muthambi's statement last year that actors would only be paid for work dating back to 2007, while television started in South Africa in 1976. Some payments for old productions are made with the help of affidavits from actors. Repeat fees, often the bread and butter of actors, are not paid on programmes that have been licensed to other networks. These are are only payable if the repeat is rebroadcast on SABC channels seven days after the original broadcast. If content is licensed to other broadcasters, commercial exploitation fees are payable. Residuals from the licensing of content to other broadcasters/platforms are paid on a quarterly basis. They have been paid once in 2014 to 2015 but none were paid in the preceding financial years, according to the replies. Royalties paid for repeat fees are paid monthly, based on received claims. Generations and Isidingo actors are paid residuals so far. They are: Anga Makubalo, Bawinile Modise, Camilla Waldman, David Phetoe, Katlego Danke, Mandla Gaduka, Menzi Ngubane, Nambitha Mpumlwana, Seputla Sebogodi, Slindile Nodangala, Sophie Ndaba, Thabiso Kokheti, Thami Mnqolo, Thato Molamu, Zenande Mfenyama, Zolisa Xaluva, Chris Beasley, Hlubi Mboya, Michele Botes and Robert Whitehead. The rights to air Generations have been sold to MultiChoice, Namibia Broadcasting Corporation, Television Jamaica and Swazi TV and the actors were paid according to the formula above, into their bank accounts. The rights to air 69 titles were also sold to kykNET and because they were old and were under different commissioning regimes, no contractual provision was made for residuals to be paid. Actors are not being paid royalties yet for rights sold to DStv’s Zambezi Magic (channel shown outside of South Africa), GauTV, ShowMax, SAA in-flight shows, because they are recent deals. They will be paid when the SABC is paid, and when the 2015-2016 financials are signed off by auditors.